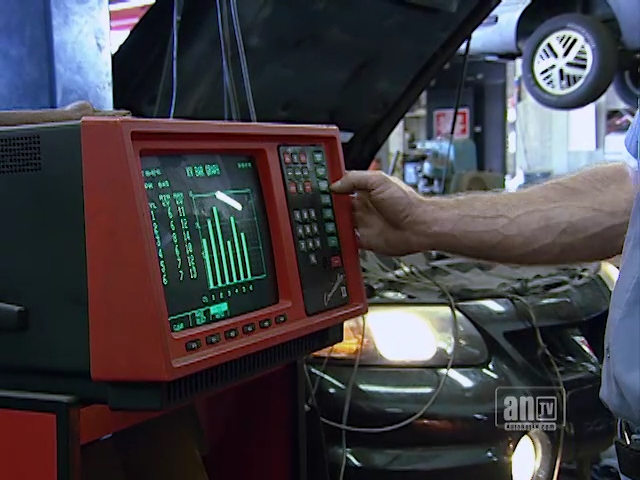 Starting in 1996, West Texas Automotive service technicians have been able to use a standardized diagnostic system to help determine what is wrong with a vehicle. This diagnostic system works in tandem with the Engine Control Modules for each vehicle's engine. The Engine Control Module is a computer that monitors and controls many engine functions. If the Check Engine light is burning steadily, it indicates a problem that needs to be taken care of soon. If it is flashing, however, the vehicle needs immediate attention at West Texas Automotive. When the Check Engine light is flashing, the vehicle should not be driven at high speeds, haul heavy loads or tow a trailer. Midland drivers need to understand that doing so can cause major damage. When a vehicle is brought to West Texas Automotive in Midland because the Check Engine light is on, a technician will scan the Engine Control Module to learn why it turned the light on. The answer comes as a “trouble code.” The technician has access to software that allows him to enter the code and find out what it means. The software will also let your West Texas Automotive technician know what might be causing the problem and how to diagnose it. Notice that the trouble code does not tell your technician at West Texas Automotive exactly what is wrong with the vehicle. It can only let him know where to start looking to find the problem. Scanning a trouble code and determining what it means is fairly simple for the pros at West Texas Automotive. But the ensuing process of actually diagnosing a vehicle's trouble can take a skilled technician some time. Sometimes this can add up to a significant repair bill. Some vehicle owners mistakenly believe that the “trouble code” is all they need and think they can then fix their vehicles themselves. Some have tried to save money by purchasing an inexpensive scanner, or they take their vehicles to an auto parts store that offers the scan for little or no cost. These options are often not the money-savers they seem for Midland vehicle owners. They can end up costing the vehicle owner extra in unnecessary repairs and engine damage. Cheap scanners also don't have the ability to read the history stored in an engine's computer. This operating history contains clues that can help in diagnosing engine trouble since it can indicate a developing problem. West Texas Automotive invests a lot of money in high-end diagnostic equipment so that we have access not just to service codes but also to the operating history of the engine. Unless you are a trained mechanic, it's good auto advice to use West Texas Automotive for your car care. In the long run, it can save you time, unnecessary expense and frustration. West Texas Automotive can also help you keep up with your scheduled preventive maintenance, which can also save you on repair bills by alerting you to potential problems before they get expensive. When we Midland residents get a car repair bill, we really shouldn't be surprised to find “diagnostic fees” as one of the line items. When we get a computer fixed, there is usually a charge for the time it takes to diagnose the problem. When we go to a medical doctor, most of his fee is for his ability to diagnose what's wrong. It's no different with our vehicles. Some diagnoses are fairly simple. Brake repairs at West Texas Automotive usually require only a visual inspection, for instance. But other problems are much more difficult to diagnose. An intermittent engine problem, for example, takes time and expertise to pinpoint. Modern vehicles have multiple computers that monitor a variety of sensors throughout the vehicle. When one of those sensors has a reading that is higher or lower than the standard parameters, the computer turns on the Check Engine light. Technicians at a service center such as West Texas Automotive in Midland can scan the engine's computer for a trouble code. This code tells the technician which reading is too high or too low. That's where some Midland residents get confused. They think that this reading concludes the diagnosis, and they don't understand why the diagnostic fee is as much as it is when all the technician did was to scan the computer. But the truth is the trouble code is only the beginning of the diagnostic procedure. Remember, the trouble code only tells which reading is out of parameter. It doesn't say what is causing the reading to be too high or too low. Your West Texas Automotive service technician still has to find the underlying problem. It's a lot like going to the doctor. He can take your temperature and discover that you have a fever, but that doesn't tell him what is causing your fever. Automotive diagnostic technology can cut down the time it takes to figure out what's wrong with a vehicle that isn't running right. But it doesn't do away with the need for your friendly and knowledgeable West Texas Automotive service technician to make a proper diagnosis. Car care, like medical care, still requires the human touch. Okay. You went to your local Midland car wash, and while your vehicle was under the dryer, the Check Engine light started flashing. Panic! What did you just do? Something is seriously wrong with the vehicle! You head for the nearest Midland service center, but on the way, the Check Engine light stops flashing and just glows red. Hmm. Maybe things aren't as bad as they seem. You decide to wait until payday to take your vehicle in to get serviced. In the meantime, the Check Engine light goes off. What? You decide the light must be faulty; maybe when it comes on it doesn't mean anything, or maybe it's just in your vehicle as some sort of scam to get you to pay for unnecessary repairs. You're glad you didn't take your car to the Midland repair shop and resolve to ignore that Check Engine light in the future. You drive out from under the dryer, and the air intake sensor sends a new message to the computer. The computer realizes that everything is normal and tells the Check Engine light to stop flashing. The vehicle doesn't need immediate attention; but there was a problem, and it should be checked out by your West Texas Automotive service advisor. After a few days the computer senses that the problem is gone, so it turns off the warning light. The pros at West Texas Automotive respond to a trouble code in your vehicle's computer in the same way. The code doesn't say exactly what's wrong, but it does give the technician a good indication of where to start looking —and where he/she doesn't need to look. There are cheap scanners available on the market, and some Midland auto parts stores offer to read trouble codes from your vehicle engine's computer for you. But these are really not good alternatives to taking your vehicle to a qualified service center such as West Texas Automotive in Midland. Your engine's computer has both short-term and long-term memory, and there are some codes that are specific to a particular make of vehicle. Cheap scanners can't read an engine computer's long-term memory nor can they interpret manufacturer-specific codes. That's why our manager at West Texas Automotive spends a lot of money on high-end diagnostic tools. Getting your codes read at your Midland area auto parts store isn't really a money-saver, either, unless you're a trained mechanic. You'll end up with a code that tells you a symptom. What usually happens next is that the Midland area parts store sells you something that directly relates to the symptom. It may or may not fix the problem. It's actually cheaper to just go to West Texas Automotive and get things fixed right the first time. Part of good vehicle care is knowing where you can get a problem fixed — and fixed right. Preventive maintenance goes a long way to keeping you out of the repair shop, but eventually, we will all have a problem that needs fixing. Let's do it right the first time at West Texas Automotive.